Taryn plays the role of Tiffany ‘Pennsatucky’ Doggett in OITNB, and currently we can see her in Season 5. Hi Taryn please tell us a little about you? I believe I’m a unique individual with a divine purpose. I’m a huge animal advocate and love extending a helping hand for a great cause. In addition to that, I would like to shed some light on who I am beyond my acting career. I presume most expect me to be like the roles I play. When in reality, I am very different. I spend a lot of time by myself in order to perfect my craft. My determination and competitive spirit stems from my athletic accomplishments at a young age. Many don’t know that I began martial arts at 8 years old and won 1st place for my division. I quickly excelled in ballet and started realizing my true talent as an innovative artist. Best- when you land a role that moves and transcends you. Worst – when you’re up you’re up and when you’re down you are down. I truly work for a living so having that stability is crucial. “You see the same people as you’re going up, as you do going down.” My wonderful friend and respected actor – Clifton Craig Collins Jr.
How did OITNB project changed your life? OITNB changed my life after having to relocate to NYC. I knew no one but I persevered and stayed dedicated to my craft. What we can expect for the fifth season? The writers never cease to amaze the viewers. It’s proven that people love the show and it’s going to continue doing well. How challenging has been the role of Pennsatucky? Depends on what angle they’re going for. I truly believe she is a true testament of change. They humanized her and showed that people are capable of major changes. Are the magazines gossip that you were quitting OITNB affected you? I am?? Did I miss the memo? Is Netflix informed? How many mores seasons we will have of OITNB? That’s a question for Lionsgate/ Netflix personnel. When all the girls bring their dogs to set. All of the girls love our for babies. it’s a therapeutic moment for us all. 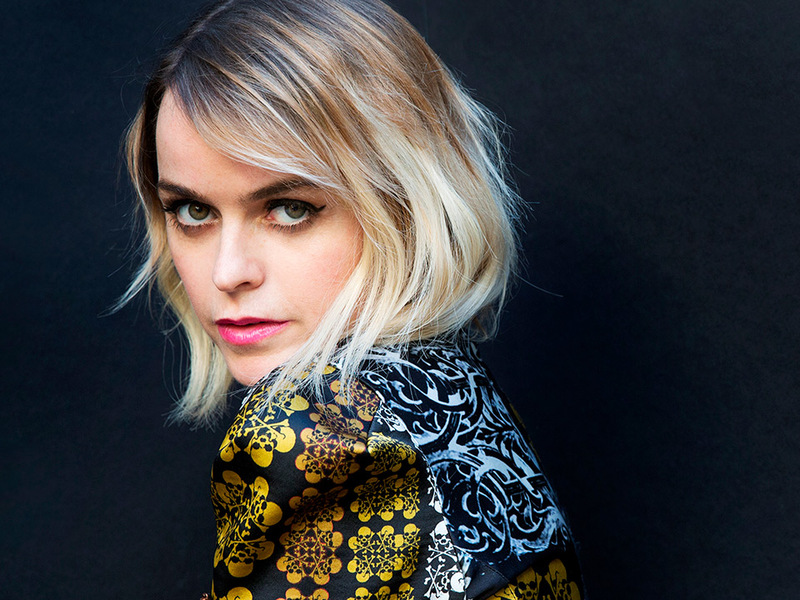 What we can expect of Taryn Manning in 2017? I am coming out with a new movie called “The Vault” that I’m co-starring in with Francesca Eastwood as the leading lady. My album is coming out, GLTCHLFE RECORDS. I will be touring for my album and working on my new Comedy web series that I created! Favorite actor – Leonardo DiCaprio because of his environmentalist efforts, talent, and every facial expression/dialogue he becomes more powerful each and every time. Favorite actress – Charlize Theron because she is incredibly beautiful, naturally talented and able to conform to any role with ease. What music do you like? Can you tell me your favorite artist? It’d be a crime to single out one artist or band when I have passion for all music. Warm water with lemon as soon as I’m up and at em’. I live day by day. I used to set goals for myself long term but once I allowed my life to take its course, all opportunities became possible. Tomorrow is never promised. Favorite Music: My favorite music is when you can distinguish a song by the melody. I believe melodies are a universal language. I’m the Paul McCartney of the Beatles, I’m not John Lennon. I follow the melody before the lyrical aspect. Food: I’m a southern Cali girl. Mexican food will always be my kryptonite.